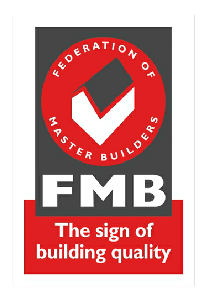 DJB Building Winchester Ltd understands and appreciates the importance of reliability and trust. We know how vital it is for you to achieve your end result and to be able to rely on a builder that can guide you through your project, no matter what the size or cost. DJB will provide you with the advice and service from the initial concept, planning, design and throughout every stage thereafter. We offer weekly or fortnightly meetings for each client with the Director, Dave Osborne-Brown; ensuring communication is constant throughout the project. And of course Dave is also available at other times to answer questions and concerns via email or telephone. 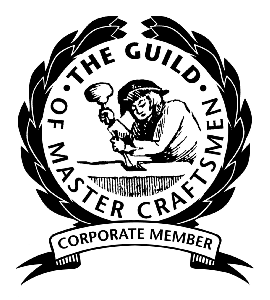 We are members of the Guild of Master Craftsmen and the Federation of Master Builders and have been inspected and accepted onto their National Register of Warranted Builders. DJB has an office located along Stockbridge Road in Winchester. Our office is manned 8:30 to 5:00 Monday to Friday by Trina Masham, she is available at the end of the phone or via email throughout these times. Having somebody at the end of the phone enables DJB to give support to their customers and ensures effective communication, both of which are vital for the smooth running of your project. DJB have the knowledge and experience to work with you from design through to completion of your project. Your building work will be project managed giving you peace of mind by ensuring someone is available to answer your questions or deal with your queries. DJB can work with you in any way that suits you, whether it’s helping you with the design of your new project or working towards agreed plans you already have. If you would prefer to use your own tradesmen for certain parts of the project we can work along side them also, just let us know your requirements and we will do our best to make it work. Every project is different; we are not able to give an estimate for your works over the telephone, as many factors will affect the cost. To obtain a detailed written quotation for your project, please contact us by telephone or email and we will arrange a visit to your property to discuss your requirements. A written quotation can then be forwarded soon afterwards by email or post, whichever you would prefer. All quotations provided are fixed at the time you sign the contract with DJB, prices will not change throughout the project. If additional work is requested, this is quoted for and when agreed is also fixed in price. Many of our clients add additional work as they go along through the project such as a new patio or a bathroom, these are discussed and agreed in price before the work is commenced. DJB will require an agreed deposit amount at the start of the works, once this deposit has been accounted for, a fortnightly staged invoice will be sent out, ideally via email. Payment of these invoices is expected within 5 working days of receipt. To take a look at the services we offer, please click here.